Films sometimes flag powerful emerging trends in investing - if only investors pay attention. 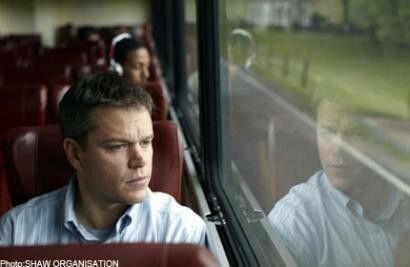 Take Promised Land, the recent arthouse movie starring Matt Damon, best known for the Bourne film series. In Promised Land, Damon plays Steve Butler, an ace salesman at Global Crosspower Solutions, an energy company that specialises in obtaining natural gas trapped underground through a process known as fracking. Butler has a special skill in persuading people to sell their land and the film makes much of the underhanded tactics deployed by him and his company to get impoverished farmers in a small community in Pennsylvania, where land is passed from one generation to the next, to sign over their mining rights. But the investor in me could not help making one observation: There are lots of salesmen like Butler fanning out across America to communities such as the one featured in the film, lured by the shale oil and gas fuel trapped beneath the land. In doing so, they are promising farmers a new lease of life and plenty of money to do whatever they want - send their children to college or live it up in the big smoke - if only they would turn over the land for mining. We don't need Hollywood to tell us that the shale revolution is transforming the United States and the rest of the world in a big way, causing oil prices to plummet as America's newly abundant energy source hits the market. Fracking has not only made the US self-sufficient in gas, but also, the International Energy Agency is predicting that the country will overtake Saudi Arabia as the world's largest oil producer within four years. There are other benefits as well: The cheap energy is fuelling an American industrial renaissance that will ripple through various sectors such as manufacturing, transport and construction. In the film, Butler tells the story of how his own town had died after equipment maker Caterpillar shut down its local assembly plant. But in real life, cheap shale has made the US steel industry profitable again in Pennsylvania, where the film was shot. When a mind-boggling development such as the one unfolding in the US occurs, it will have a profound impact on the world, similar in scale to China's entry into the World Trade Organisation over a decade ago. As China opened up to the world, investors benefited enormously as a steady stream of giant mainland firms made their way to list their stocks in Hong Kong and New York. Shrewd investors like Warren Buffett made huge fortunes by taking big bets on Chinese stocks such as oil major PetroChina as they were spun off by Beijing. The game-changing energy developments in the US provide yet another great opportunity for stock-pickers to make profitable bets. Spotting the shale winners and avoiding the losers will make a big difference to their fortunes. No doubt, some will argue that the best bets lie with the producers and equipment makers at the top of the shale value chain. But during the California gold rush 150 years ago, the bigger fortunes were not made by those panning for the precious metal but by those selling picks and shovels and work clothes to the prospectors. If history is any guide, the bigger fortunes this time around will also be made by investors spotting the beneficiaries of America's abundant cheap energy resources. Take the heavy reliance on the railways to transport the shale gas as it is often found in areas without pipeline infrastructure. Mr Buffett spotted the opportunity early and paid a cool US$26.5 billion (S$32.4 billion) three years ago to acquire giant US rail-road operator Burlington Northern Santa Fe (BNSF). At the time of the acquisition, some market pundits chided him for acquiring a pricey asset past its prime when the US economy was stuck in a rut. But he appears to have the last laugh, as BNSF is expecting its crude cargo volume to grow 40 per cent this year. The shale revolution will throw up other big winners and big losers as it continues to transform America - a point not lost on stock pickers who want to outperform the market. So the next time you need inspiration on how to invest your hard-earned money, go and watch a movie. But success will also require taking a long-term view, thinking differently from the crowd and leaving no stones unturned along the way. Good luck!